The transition from winter to spring has always been a welcome relief. Withering flowers are now blooming, girls that were covered in sweaters and jeans are now in tank tops and jorts, the cold that gave us "soft balls" has been replaced with attractive bicurious women playing softball, and the improbable story of an immaculate conception that we hear on Christmas has been replaced with the immaculate erection that a glazed Easter ham gives us. Every day in spring is a day that you should cherish while every day in winter was a day that was going to be a challenge. Even though we may not notice it, the "winter to spring transition" changes the music we listen to as well: we no longer need the dark music of December, the jealous music of January, or the "false hope" music of February. We no longer need the hospitals of the Antlers Hospice, we no longer need to work in the orchard with the members of Fleet Foxes, we no longer need to hear Thom Yorke lose himself in self loathing, and we no longer need pitiful holiday music. We want music that is as open and free as a spring night out on the town, we need music that reminds us that we live for the "sunshine girls" not to "worry about dying," we need music that reminds us how free we are and not how freezing it used to be a few months ago, we need music that tells us that the beach is anywhere we want it to be, and we need music that cherishes the listener instead of challenging the listener. We need an album that is fast paced without being forceful, we need an album that is open without being offensive, we need an album that is poppy without being cliche, and we need an album that is more bewildering than it is boring. 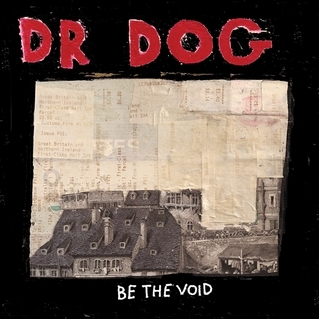 With Be The Void, Dr. Dog has created the perfect spring album. Every song on here sounds completely different, yet they all sound like they could be the anthem that defines your 2012 spring experience. "Lonesome" is the folky drum driven song that you could listen to on those spring nights when being "alone with your thoughts," and drinking moonshine seems like the only plan, "That Old Black Hole" combines the "folkiness" of "Lonesome" with the popular punk feel of the 1970s and the result is an awesome song to listen to while driving around with your top down on a Saturday night, "These Days" sounds like a slower and more springy version of one of Andrew Jackson Jihad's songs on Knife Man. "How Long Must I Wait?" is the powerful and ballady breakup song you could listen to after one of your many spring flings ends and it also has some jazz influence, "Get Away" is another ballad that will have you reflecting on all of your spring memories and will make you want to create some new memories. "Do The Trick" has the chorus that will get stuck in your head all spring long, "Vampire" is the fastest and weirdest song on Be The Void and will be the song you rock out to. "Heavy Light" is the most creative song instrumentally and is the song you will listen to when you need something to dance to, "Big Girl" is hilarious and humble at the same time, "Over Here, Over There" goes from acoustic ballad to arena rock anthem in about thirty seconds. "Warrior Man" is a song that makes you want to go to war, and "Turning The Century" is a perfect combination of all of these influences. Instrumentally, Be The Void is the perfect album for this spring: it has folk songs to drink alone to, it has folk punk songs to drive around to, it has poppy break up ballads to cry to, it has Jamaicanish dance songs to get groovy to, it has arena rock anthems to fight to, and it has songs about old memories that will make you want to go out and create some new memories. Lyrically this album is about as "springy" as it gets. The album consistently hits on the theme of getting over loneliness (getting over the darkness of winter and wanting to move on to something new), the joys of finding new love, the pains of ending a "spring fling," the changes in nature and in the world (political changes, changes in your mood, having to let go, and wanting to "put up a fight.") Even though most of these lyrical themes seem cliche, they are the perfect summarization about what spring is about for the most of us: spring is about flings that end with one drunken phone call, spring is about enjoying the changing climate, spring is about getting over the darkness of winter and moving on to something and someone beautiful and new, spring is about cherishing even the most challenging changes in the world, spring is about dancing even when you have absolutely nothing or no one to dance with, spring is about being in bloom even when the world says you should be withering, and spring is about feeling something that is beyond happiness every time you step out into the humbling outdoors. The lyrics and lyrical themes on Be The Void make it the perfect spring album. It is also important to point out that just about every song on Be The Void is pretty damn good also: "Lonesome" is one of the best folk anthems of the year so far, "That Old Black Hole" is a song that is totally original yet could be played on the radio consistently. "Vampire" is one of the most impressive "hard rock" songs of the year yet it has a distinct and unique Jazz feel, "Do The Trick" is one of the more "romantic" songs on the album and is also one of the most catchy. "Over Here, Over There" is Dr. Dog's magnum opus: it is folky without being fabricated, it is hard rocking while still being humble, and it is fun without being facetious. The songs on Be The Void are all catchy, are all fast paced, and are all great "spring songs." Be The Void is the perfect album for this spring because it is a LOUD reminder that winter is finally over: every fast paced riff is a reminder that the flowers are finally blooming, every catchy chorus is a reminder that our personal darkness has been replaced with never ending sunlight. Every song about heartbreak reminds us that we at least have the chance to have our heartbroken, and every witty lyric makes us want to create a new and awesome "spring experience." Be The Void is the soundtrack to our spring. It is an album we can run in the sun to, it is an album we can kiss our girlfriend to, it is an album we can play baseball to, it is an album that can make us smile and laugh, and most importantly it is an album that reminds us that we can cherish because it reminds us that winter is eight whole months away.